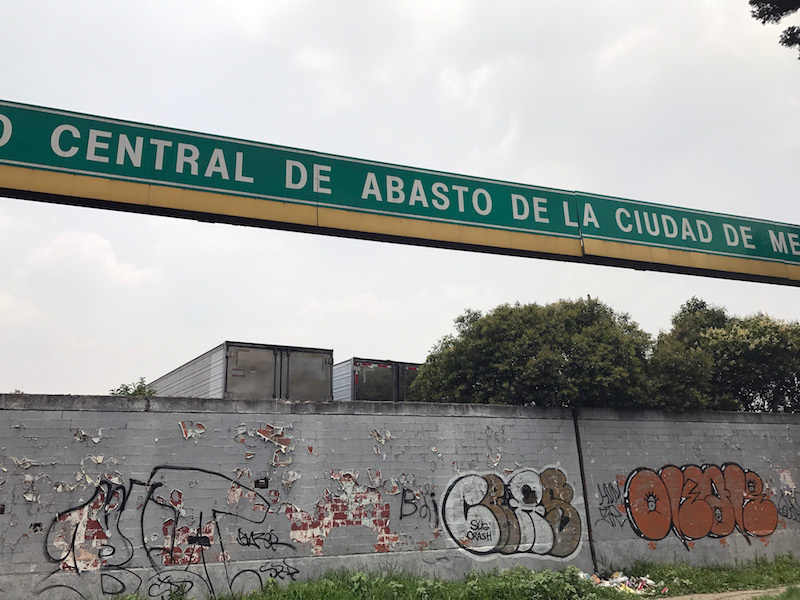 It’s no surprise that La Central de Abasto, Mexico City’s expansive wholesale market and the largest such market in the world, is constantly in motion. From the carretilleros, employees who move produce on dollies and whistle to signal that they’re passing through, to the steady stream of customers, the market pulses with energy. It’s a Friday afternoon when Diana Ávila, a programs director at the market, tours us around. As we pass neatly stacked piles of fruit and a banda playing in one of the hallways, she explains how this is the epicenter of Mexico’s food industry, a place where culture, food and community connect. “This is where homemakers come to stock up,” Ávila says as we walk through the menudeo, or retail, section of the market. 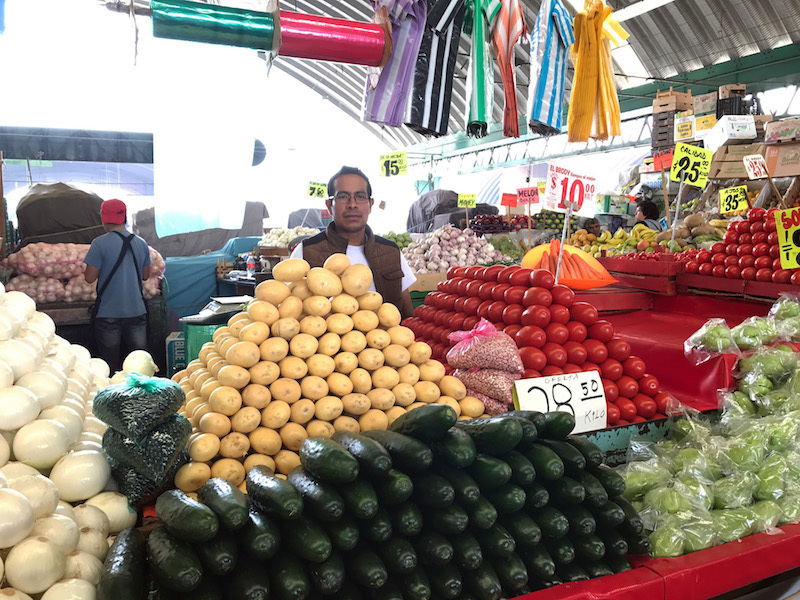 Other sections cater specifically to vendors, who sell at Mexico City’s more than 200 retail produce markets or the more than 1,000 less-formal, open-air bazaars, called tianguis. The market also has an area dedicated to receiving shipments straight from producers, and a section where wooden crates used to move produce are refurbished and resold to vendors. The market’s numbers are striking in their own right. It sees nearly 500,000 visitors each day and around 90,000 employees work in its halls. Then there’s the sheer size of it. At 328 hectares, La Central de Abasto is almost the size of Central Park. 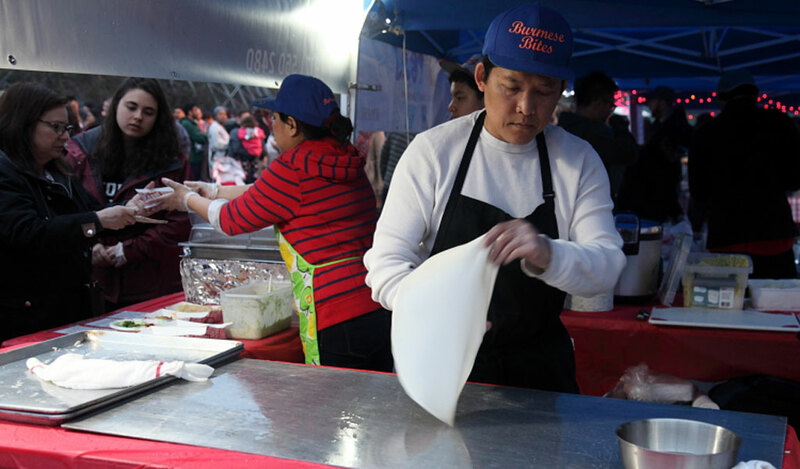 In the menudeo section alone there are nearly 700 stalls and businesses. “This is a city within a city,” Ávila says. “Now we have restaurants, banks, a clinic. As the city grew, the market evolved.” The market even has its own bus line and police force – services that are necessary for an entity the size of a small city. 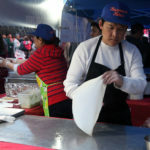 Nearly all food that ends up at taco stands, fruterias and restaurants in Mexico City passes through La Central. 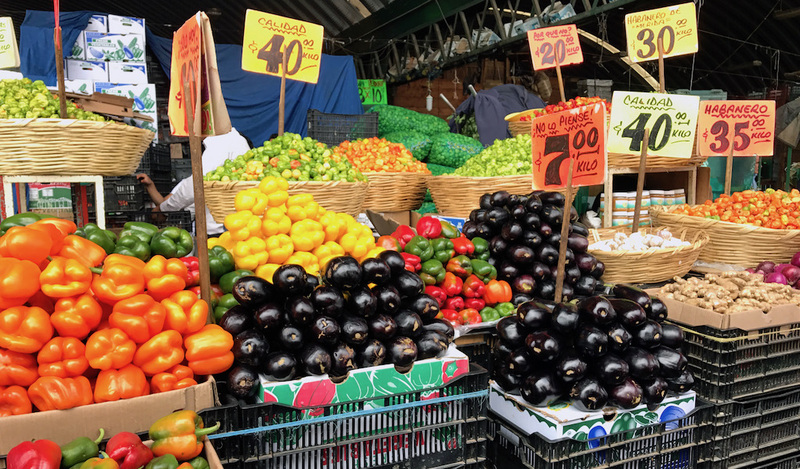 The gigantic market represents about 80 percent of the consumption of the Mexico City metropolitan area, sees 35 percent of all produce grown across the country, and generates about US$9 million annually. The market also sees produce headed to the United States. 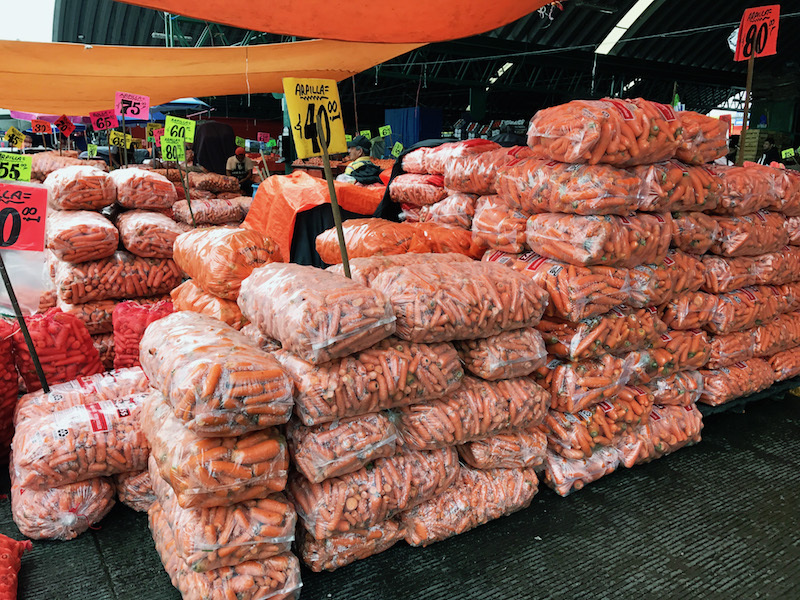 Tomas Pineda Aguilar, a carrot merchant, is one such connector. “[Our carrots] come from Puebla” this time of year, he says. A small percentage of his produce is transported to McAllen, Texas, and to Cancun, but most of his business is segunda venta, meaning he’s the middleman between wholesale vendors and retail vendors who sell smaller quantities, or selling to restaurants, fruterias and jugerias. This year, a new administration is overseeing the market and addressing issues like security. La Central’s police force say security cameras and round-the-clock onsite officer presence are improving safety. 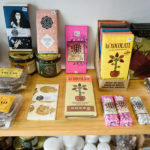 Officials at La Central are trying to improve the overall image of the market in the hopes of drawing more consumers – and tourists – to the market. The real draw here are the vendors; they are the glue that keep it together. A marketing campaign to raise the market’s profile and show off the important role it plays in Mexico’s food culture is in the works. One of 16 murals to be designed and painted by an artist collective on the walls of La Central has already been completed, and a public event to celebrate its 35th anniversary is scheduled for later this month. Administrative Coordinator Sergio Palacios, who oversees operations, also hopes smaller fixes, like improved trash collection and road conditions, will help the market become a better place to work and visit. The real draw of the market, however, are the vendors; they are the glue that keep it together. For most, the profession is passed down from generation to generation, which allows them to become experts in their product and how to sell it. 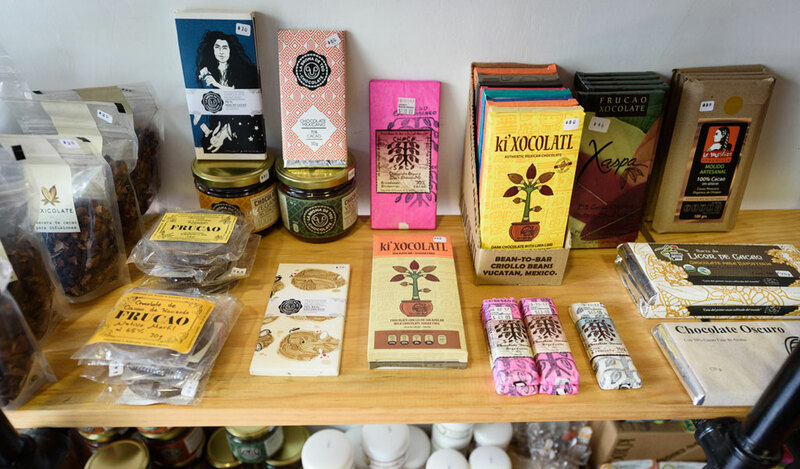 There’s an art to being a merchant at the market, and presentation is key. A perfectly stacked pile of just-ripe produce is what catches customers’ eyes. Most of the workers are men — it’s a tough job that requires a lot of heavy lifting — but more women are starting to join them, mostly working directly with customers as cashiers. 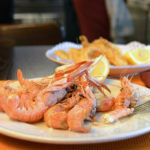 Almost everyone is quite social and chatty, smiling as they offer a slice of whatever they’re selling. No one expected La Central to be the largest wholesale market in the world, Ávila says. It was built at the time because the space was available, but Mexicans took to it and transformed it. And even as it struggles with image issues, the market continues to operate, moving large amounts of food both inside and outside of Mexico. We ask Ávila how she thinks the market, which was untouched by the 7.1-magnitude earthquake on September 19, will change going forward, given how much it’s already changed in the past 35 years. She mentions that the market could probably modernize and that products will likely change over time. But Ávila is adamant that it will always be thriving. 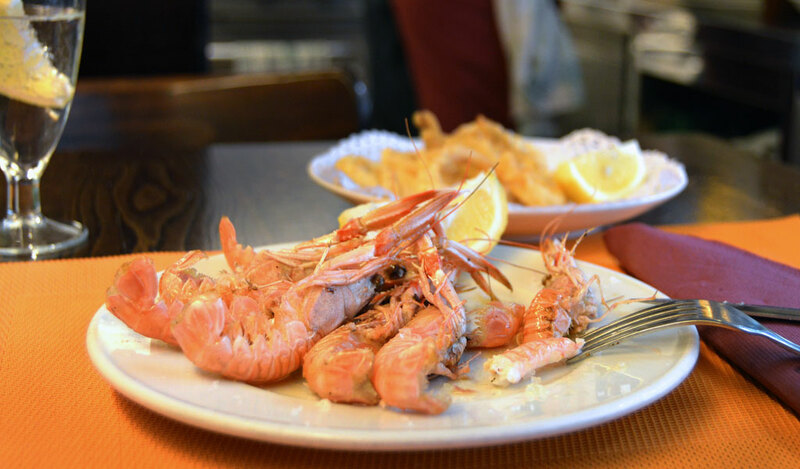 Take a deep dive into the bounty of Queens on our culinary walk in this area.